The current regulatory landscape and the evolving threat environment have converged to dramatically raise the stakes in securing emails. This session will reinforce the need to deploy administrative, technical and physical security controls to safeguard email and detail the key controls present in all effective email security strategies. 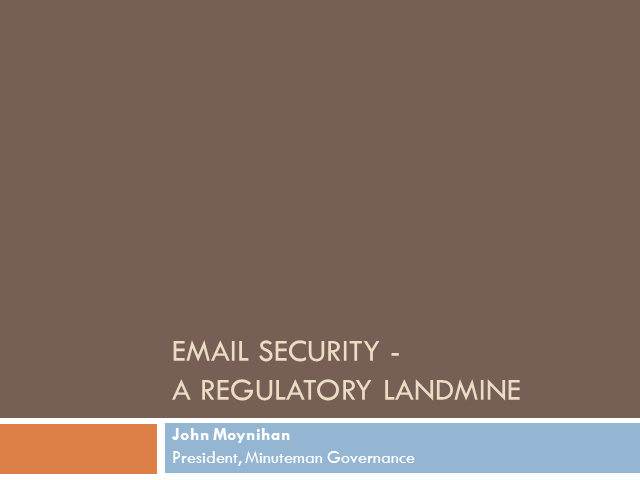 John Moynihan, information security expert, will share actual email breaches that he has remediated and emphasize the need to adopt a multifaceted, proactive approach to secure an enterprise email system and comply with various privacy regulations.